The "Let's Move" national campaign is First Lady Michelle Obama's effort to combat the epidemic of childhood obesity. The National League of Cities (NLC) is spearheading an associated program — "Let's Move! Cities, Towns and Counties" — that involves local communities across the country. A version of this article appeared in the January 2013 print issue with the headline: Let's move! The "Let's Move" national campaign is First Lady Michelle Obama's effort to combat the epidemic of childhood obesity. The National League of Cities (NLC) is spearheading an associated program — "Let's Move! Cities, Towns and Counties" — that involves local communities across the country. As part of the program, NLC recognized a dozen communities for outstanding efforts in achieving health and fitness goals. One of the 12 cities honored is Jackson, capital of Mississippi, ranked as the most obese state in the nation in a recent report by the Trust for America's Health and the Robert Wood Johnson Foundation. Jackson Mayor Harvey Johnson is determined to reverse that trend in his city. "We are seeing more and more activity focused on health and wellness in the city," Johnson says. For example, Jackson's early childhood development program, "Color Me Healthy," introduces 3- and 4-year-olds to the idea of healthy foods in the hope they will take that message home with them. Other initiatives in Jackson include a "Fit Pick" program to offer low-calorie and more nutritious foods in vending machines in the city's buildings and offices, and a committee to promote more physical activity among city employees. A community garden program has also been instituted to ensure the availability of fresh produce in each of the city's seven wards, with six gardens started so far. In "Let's Move" recognition, Jackson received three gold awards and two bronze awards. Each award recognizes achievement of a stated goal in the program, such as displaying the "MyPlate" nutrition guidelines at food service facilities or making physical activity more accessible to children. "'Let's Move' has also helped us network with other organizations to accomplish more," Johnson says. Other big cities recognized for high overall achievement in the NLC program include Chicago, which earned two golds, a silver and a bronze award; and Los Angeles, which earned two golds and a bronze award. Small cities (with populations less than 25,000) recognized include Columbia, Pa., and Farragut, Tenn.
"We're a small town with a very small staff, but we're excited about the whole 'Let's Move' program," says Sue Stuhl, Farragut's parks and leisure services director. Farragut, with just over 20,000 residents, has a total town staff of about 50, and a parks and leisure services full-time staff of seven. Stuhl says the "Let's Move" program provides a framework to encourage sharing of examples and recommendations that have been successful in other locations. The program also helps small cities spread the word about what they are already doing to encourage healthier lifestyles. Lauren Cox, Farragut's special events and program coordinator, is applying elements of existing city programming to meet "Let's Move" program goals. For example, Farragut already offers a "Movers and Shakers" fitness program for school children each summer. The program operates like a summer reading program, but points are awarded for hours of physical activity rather than the number of books read. 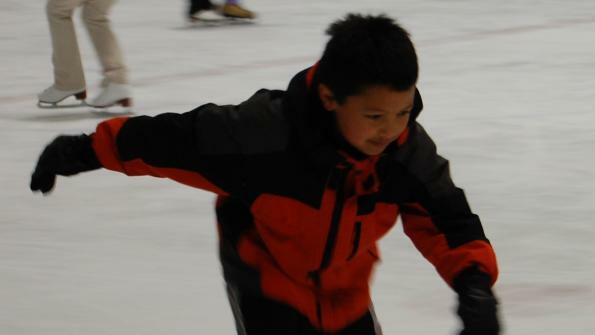 Small prizes are offered, such as water bottles and key chains, and children who complete 56 hours of physical activity are invited to a healthy lunch and two hours of ice skating at Cool Sports, a local private facility. Farragut also participates in the Knox County "Together! Healthy Knox" program as well as the Childhood Obesity Council. Last spring, Knox County held its own "Let's Move" program, and this coming May, Farragut, Knoxville and Knox County will offer coordinated kids' fitness programs at local facilities. These programs have helped Farragut excel in the "Let's Move" campaign. Although involved for less than a year, Farragut has achieved two golds and a silver award, mostly based on the city's existing programming. Other cities among the dozen communities recognized for highest overall achievements in "Let's Move" are Norfolk, Va.; St. Petersburg, Fla.; Meriden, Conn.; Mountain View, Calif.; Somerville, Mass. ; Annapolis, Md. ; and Casa Grande, Ariz.